It is estimated that 87% of Kenyans use solid fuels for cooking while 5% use kerosene meaning that only less than 5% of Kenyans use LPG as their primary cooking fuel. 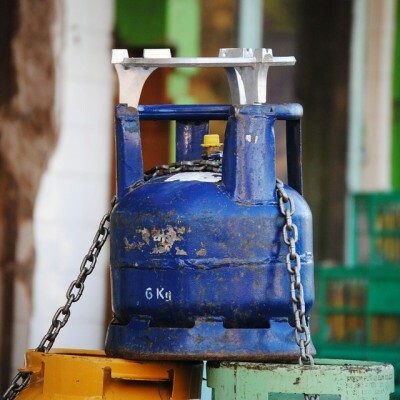 LPG is as a healthier modern alternative fuel, but many factors like lack of proper awareness has seen many Kenyans continue using harmful solid fuels and kerosene for their everyday cooking. And high demand for these fuels end up causing long and short term negative effects including forest degradation, climate change and health problems on users. There are so many advantages that LPG has over traditional fuels, the main benefits of using LPG are: Unlike firewood and charcoal, LPG is easy and instantaneous to light. It is easy to control so that the required rate of heating can be obtained. It can be used commercially or domestically and does not produce any smoke or soot, therefore maintaining cleanliness. In Kenya, LPG is commonly used in urban areas, with Nairobi accounting for 60% of the market and Mombasa 15%, while the rest is scattered around other growing urban centres with only 1% usage in rural areas. This is largely driven by low availability of firewood in urban centres, and ease of LPG distribution due to the greater population density. Improvement across the LPG value chain need to be made to bring down the cost, create awareness among consumers and increase distribution efficiency to reach majority of Kenyans. Dealers are located around estates and supermarkets and consumers can exchange their empty LPG cylinders for any brand of LPG available since all cylinders use a common valve. Limited regulations to protect investments enables black markets to engage in illegal distribution and refilling. This has a negative effect on growth of the market since it has created mistrust due to perceptions/realities that these illegal distributors are involved in deceptive practices. There has been a concern among the public about the safety with reported cases of fire as a result of faulty cylinders. The Energy Act 2006, section 80 requires that persons engaged in LPG in Kenya do so under and in accordance with terms and conditions of a valid licence issued by the Energy Regulatory Commission (ERC). The Energy Regulation Commission(ERC) issued Energy(Liquefied Petroleum Gas) Regulations 2009 that regulates import, export, bulk storage, wholesale, retail, transport, and filling of LPG. It requires a person who wishes to conduct wholesale LPG business or filling to apply for a licence from the regulator. These persons are also required to seek authority from brand owners to use the cylinders. The act also touches on retail dealers who are also expected to adhere fully to the act and seek a licence from ERC. The retailers are required to also state the suppliers of their LPG. The wholesalers and retailers are prohibited from buying LPG from unlicensed persons. The price of LPG in Kenya is among the highest in the world and is 2-3 times higher than equivalent annual fuel costs for purchased charcoal or kerosene. This is mostly attributed to supply constraints resulting from limited storage, distribution and retail capacity across the country to serve a large population. Also, the high cost in importing and storage of LPG in the port and low access to rural areas. For this sector to grow, there is need for increased storage capacity, policies and regulations that enforce property rights (e.g., over cylinders) and stabilize import prices. There also need to have increased awareness around the health and environmental costs of solid fuels and incentives to improve affordability of LPG. Despite all these challenges, LPG market continue to expand significantly in recent years, and the existence of relatively large consumer segments who currently using traditional fuels provides a huge potential market.